President of the Micro Small and Medium-sized Enterprises (MSME) Alliance, Professor Rosalea Hamilton, has welcomed the Business Entrepreneurial Empowerment Programme (BEEP), launched by the Government, noting that it has the potential to transform the MSME sector. “While the response is just a pebble in an ocean of needs, it’s a significant pebble that can have a tsunami-like ripple effect that has the potential of transforming Jamaica if we continue down the path of support and responsiveness to the entrepreneurs in the MSME sector. I am particularly pleased,” she said. The programme, which is being implemented by the Development Bank of Jamaica (DBJ) aims to assist MSMEs to improve their risk rating and facilitate access to financing under preferential arrangements, among other support. 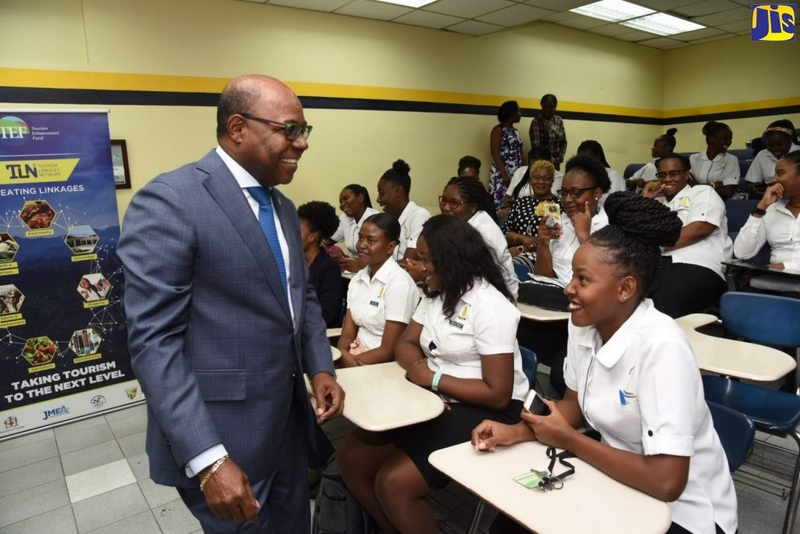 Speaking at a press conference hosted by the DBJ at Jamaica House on December 2, to launch BEEP and announce initiatives to facilitate economic growth and development in the MSME sector, Professor Hamilton lauded the programme’s focus on business development. “It is complemented by business support services geared towards assisting MSMEs in formalising their businesses and achieving what we define as a ‘minimum business standard’ in key areas, including legal compliance, taxation, bookkeeping, accounting, business planning, management, marketing, financial and computer literacy. “In so doing, BEEP provides an important lifeline to business viability, sustainability and profitability, adding that the programme is a response to real business needs,” she said. “While we continue to push for more support for MSMEs, we are mindful of the constraints facing the government at this time. We are encouraged by the constructive engagement with the government to date and we will continue to constructively engage as we work through the many complex issues to be addressed,” she added. Some of the new measures which the bank will be implementing to assist the sector include: the lowering of interest rates, granting of a six-month moratorium, and a technical assistance grant of $30 million to facilitate improvement in capacity building and institutional enhancement.